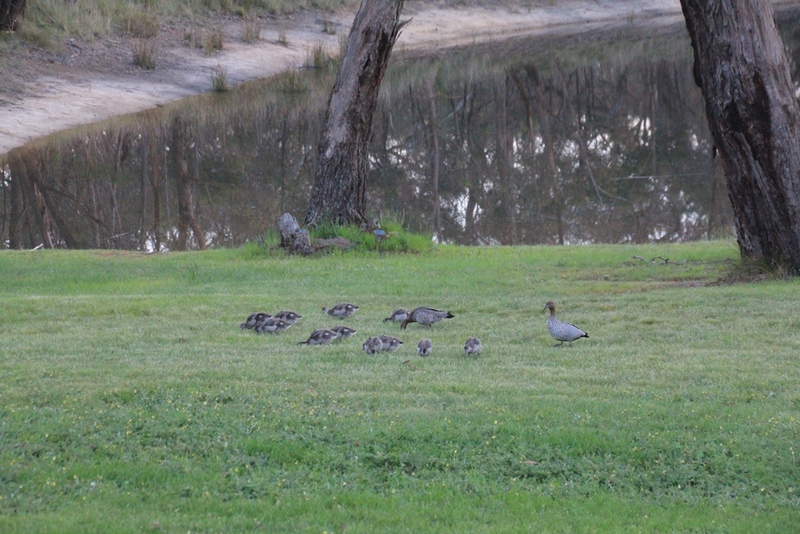 The plumage of the female Australian Wood Duck is clear in this photo. 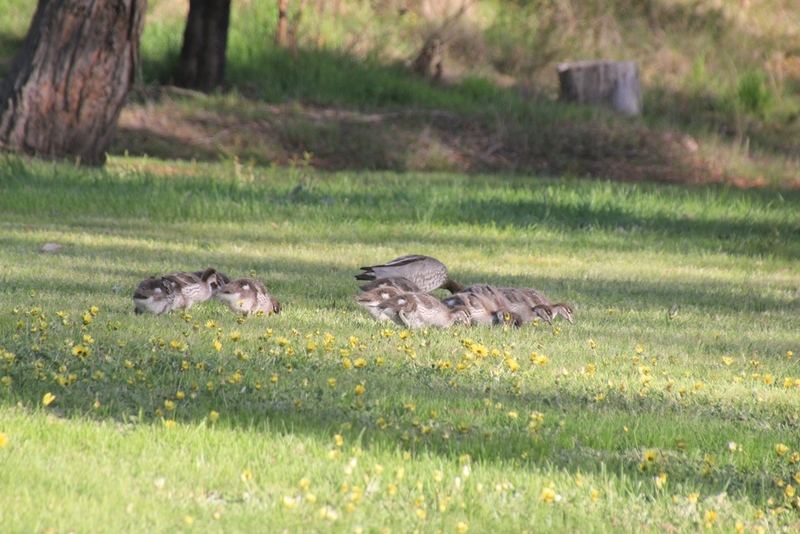 Each day, a wild family of Australian Wood Ducks spends time on and around our dam, before going back to their home on a neighbouring property. 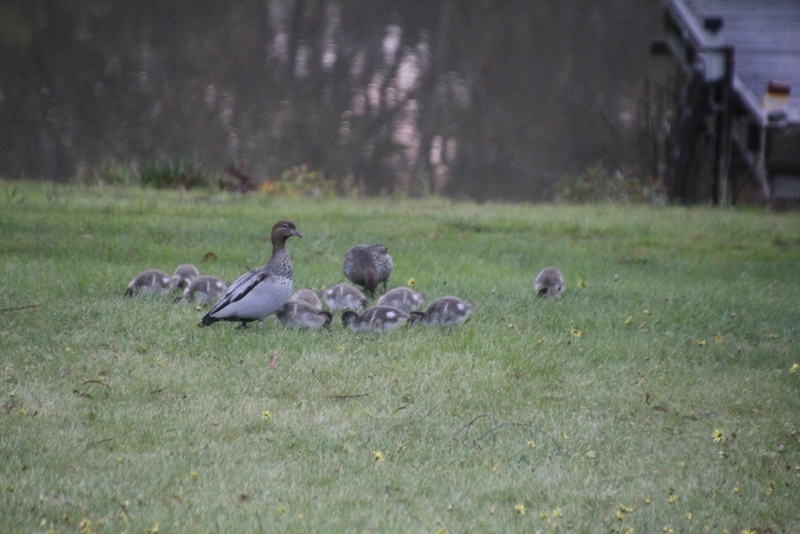 We’ve watched as the 11 ducklings have grown from balls of fluff to small ducks taking on adult plumage. 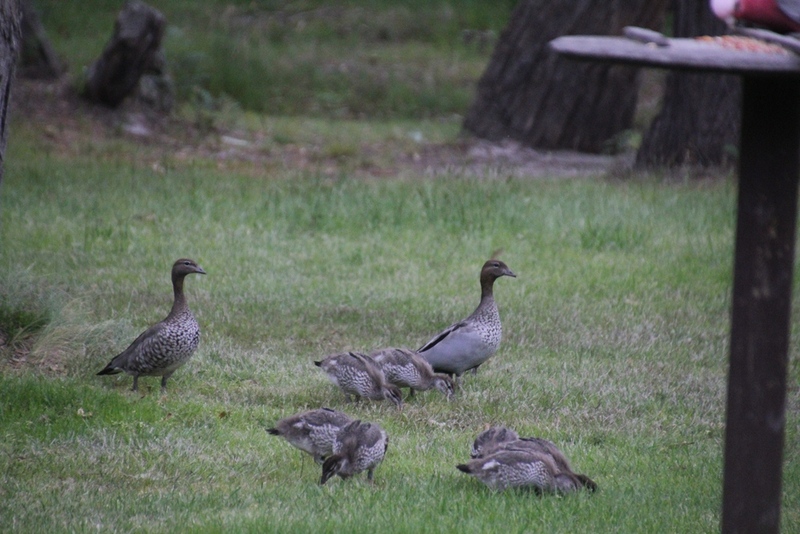 The ducks seem to live on a tiny, muddy pond beneath dense shrubbery, just over our boundary fence. Each day, they come under the fence, walk across our driveway, then walk down an open, paved water run-off channel which drains into our dam. They assemble on the edge of the dam, swim to the other side and climb up the embankment to the grass and undergrowth, foraging for food as they walk around the edge of the dam to their starting point. Here is a sample of the many many photograhs we have amassed. Click on these photos to see them full-sized. 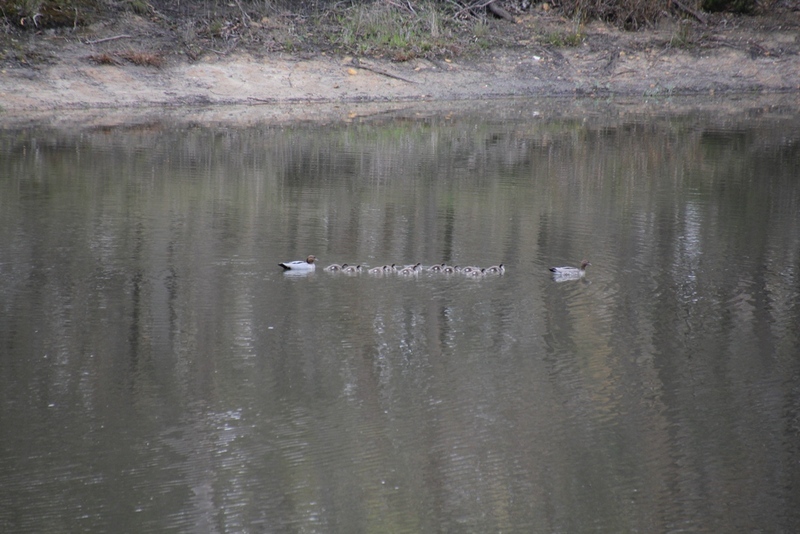 This was the first time we sighted the ducklings. 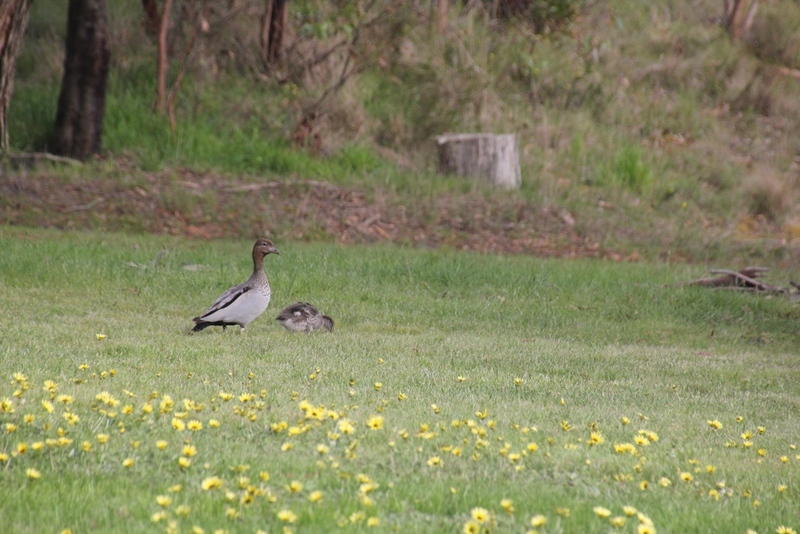 The male Australian Wood Duck has a black tuft on the back of its head. The female has no tuft and her head plumage is slightly lighter. 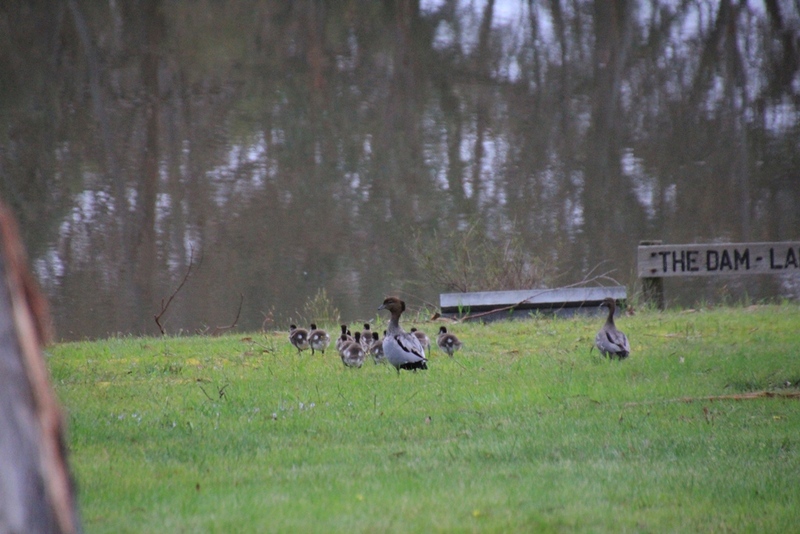 The adults keep a careful watch over the ducklings. Most of our photos have been taken from inside the house, through glass windows. At the first sight of a human, the adult ducks herd their safely ducklings into the dam. 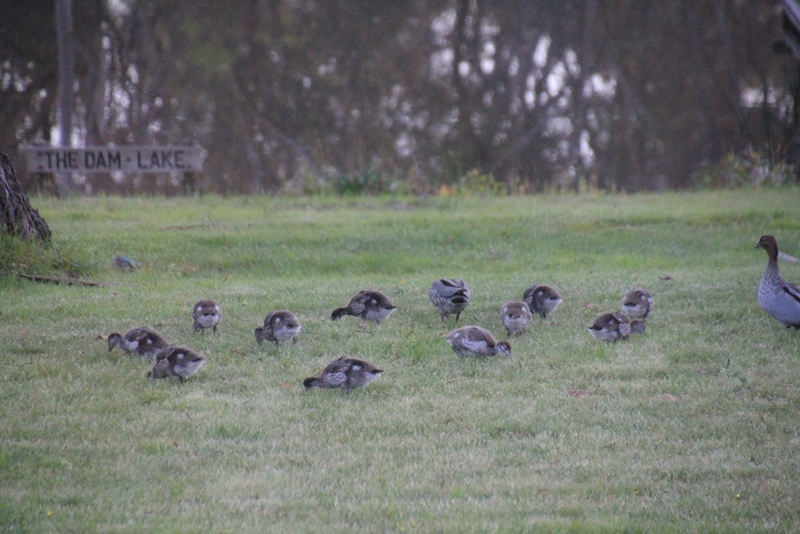 Australian Wood Ducks find most of their food on land. The grassy verge around our dam is a popular spot for grazing. 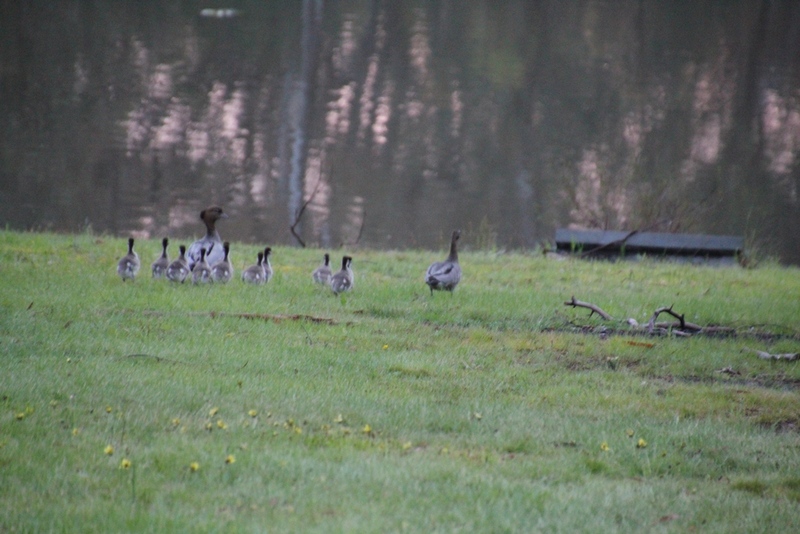 Almost every photo we have of the ducklings shows them feeding. They seem to have voracious apetites! 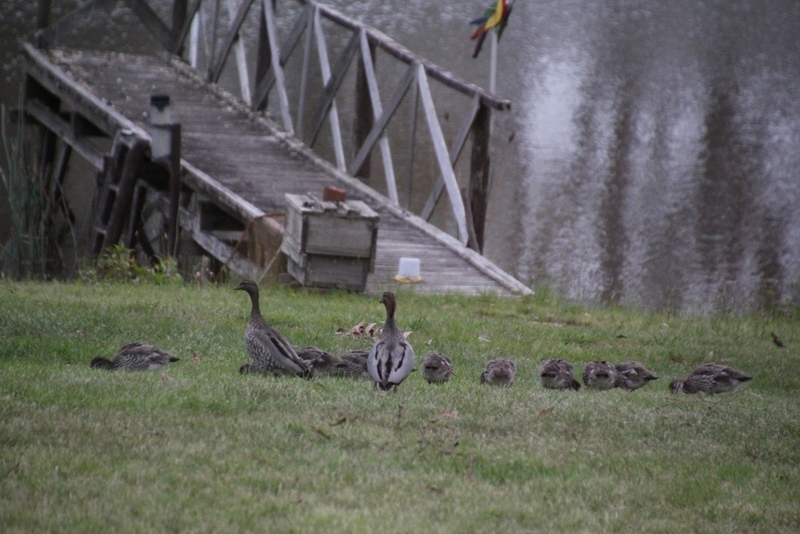 The ducklings are starting to lose their fluffiness, and beginning to take on their adult plumage. Some days, the ducks seem to walk around the dam four or five times before heading back home. 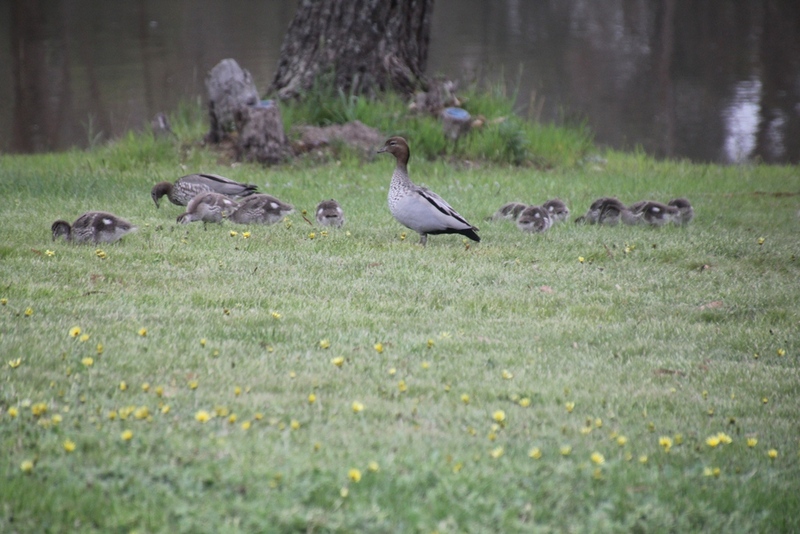 The characteristic spotted breast feathers are showing on these ducklings. Magpies have dive-bombed the ducks, so the adults are constantly alert for any threats.